Titan Consultancy is a reputed Recruitment Consultancy engaged in offering Placement Services, Staffing Solutions, Executive Search, Overseas Placement and Human Resource Solutions. We believe in providing solutions that are completely tailor-made to the requirements of the companies and the candidates. Our industry-wide exposure and experience along with a flexible working style enable us to deliver the best solutions, meeting every need. We function as a platform to match the right talent with the right opportunity. 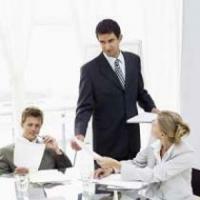 We have an expert team that is well-versed with screening, short listing, placement, head-hunting, etc. which helps us to meet the exacting demands of clients. It is a widely known fact that the success of a business depends on the people behind it but most importantly if the right people are on board. We have a unique working mechanism that enables us to meet your expectations for time-critical projects by providing candidates that are a right fit for the role and that too in the least turnaround time possible. Our professional touch is visible in our work as we dedicatedly work towards providing solutions that are tailored to your requirements while maintaining high quality standards. So, quality placements and recruitments are promised always which makes every company and candidate vouch for our services. 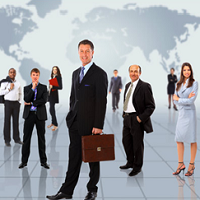 Companies can post their manpower requirements or requirements for HR solutions here. Please be specific about your requirements and we will get back to you shortly with the right solutions.